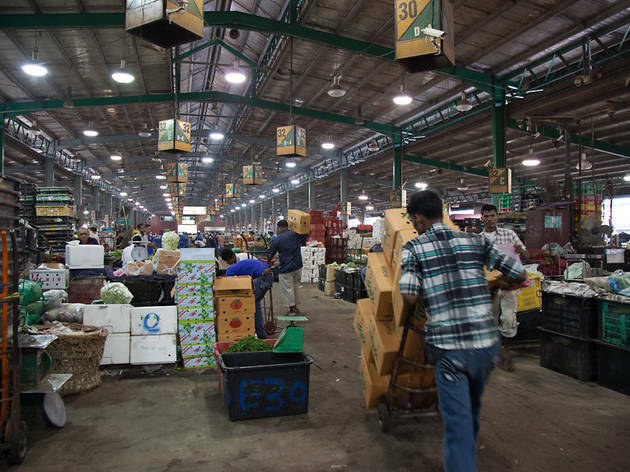 At 3am, the largest wholesale market in the city with 448 stalls jumps into frantic activity. Vegetable trucks – the midnight express – hailing from as far as Cameron Highlands repackage their goods at this hangar-like pit stop in Selayang before hauling them to wet markets around the city. Hundreds of workers load, pack and seal at lightning speed – their work for the day is over when most KLites are just about to get out of bed. Trucks show up with their trunks overstuffed with onions, chillies, pinkish-red torch gingers, poultry, fruits and all sorts of leafy greens. But the real action takes place at the seafood section. 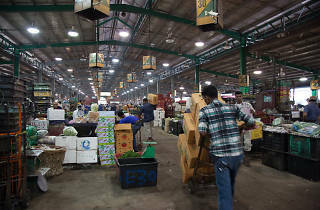 Carts careen and lurch around, unloading costly promfrets, snappers, groupers, eels, flower crab and prawns that usually end up in giant hypermarkets or a chef’s wok. Harried stall owners clean, gut and fillet their fish with almost surgical precision – it’s a bloody spectacle. Some stalls here are also exclusively family businesses. ‘I’ve worked in the market business for 50 years since I was 12,’ says vegetable distributor Yap Ah Choo. ‘A lot of the stalls here originated from the old Central Market.’ For many years, these stall owners have enjoyed strong trade relationships with restaurateurs, street vendors and individual consumers who buy in bulk. Pasar Borong Kuala Lumpur reveals itself like a kaleidoscope, changing with the time of the day. Just before dawn it’s wild, engulfing and frenetic, but when the trucks roar away at 9am, all that’s left is a fishy-smelling ghost town.